Found the problem! Dodgy EFI Coolant temp sensor, as soon as I unplugged the git it ran fine and the exhaust manifold didnt overheat any more. The sensor must be leaning the mix right out, hence the overheating and stalling at idle. Good point with the AFM, might look at doing a shield plate of some sort underneath, or maybe a complete cold air box around it. 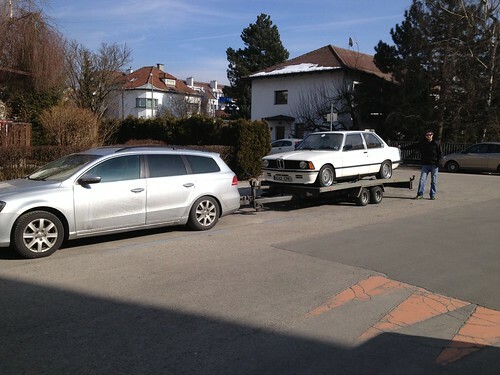 Moved the car to Innsbruck at the weekend, gets a spot in a nice warm garage ahead of the horrors of the Austrian TÜV! Last edited by alschux on Sat Feb 15, 2014 2:31 pm, edited 1 time in total. alschux wrote: Moved the car to Innsbruck at the weekend, gets a spot in a nice warm garage ahead of the horrors of the Austrian TÜV! Long time since the last updates, had a bit of a nightmare after finishing off the wiring and changing the dizzy for an e30 318i one. Not sure if it was bad fuel after a while of sitting or timing being off or a combination of both, anyway, new fuel and a bit of fuel system cleaner and timed her up off the static marks and finally got it running sweet over the last couple of weekends. Right, got the gearbox back in after replacing a knackered pilot bearing and clutch slave along with the shifter bushes. Can pull away without any rumbling/screeching from the transmission now! Hoping the driveshaft imbalance issue is also improved if not solved, found some faint marks which were possibly for the original alignment and correctly preloaded the centre bearing. Austrian TÜV is now in sight, first issue is the headlights, being a right hand driver they're angled the wrong way for over here...does anyone know if it is possible to rotate or swap them to prevent them blinding the oncoming traffic? Think you'll need correct units ie from a LHD model, at least over here they will fail your TÜV for incorrect light pattern if you just tilt the headlamps. But if the RHD ones are good you'll be able to sell them here perhaps haha. Hope the driveline is good now (calls for a test drive! ), then what next? Thanks for the info Jeroen, thought that might be the case, but on the plus side I remembered I've already replaced the drivers side headlight and it was from a LHD car, so only need to buy one! Will whack a post in the wanteds. Visited the TÜV today, and got through nearly all the tests except for needing a air filter box, a dodgy hazard warning light switch and defective wipers. This represents a major milestone towards legal driving in Austria. The only problem is that the gearbox selecter rod chose to break during the testing, leaving only a short section sticking out of the 'box and the car stuck in fourth gear - the gearbox needs to come out again! It looks like this part is still available through BMW at a cost of 220 Euro, but if anyone has one spare from a broken Getrag 240 (5 Speed overdive), please PM me. Part no. is 23 31 1 224 388. Well, if its broken, you can take the z3 2.8 shortshifter, thats a nice upgrade!! hey, that could be the best news ive had all day - do you really mean the selecter rod which is burried inside the gearbox (apart from the end which has broken off! 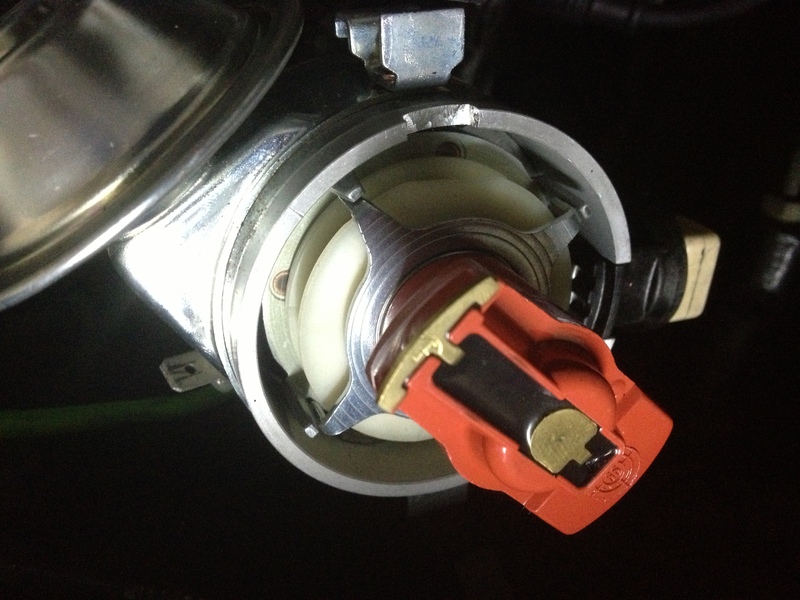 ), or just the shaft between the gearlever and the 'box? In Dutch, but here are some handy pics. 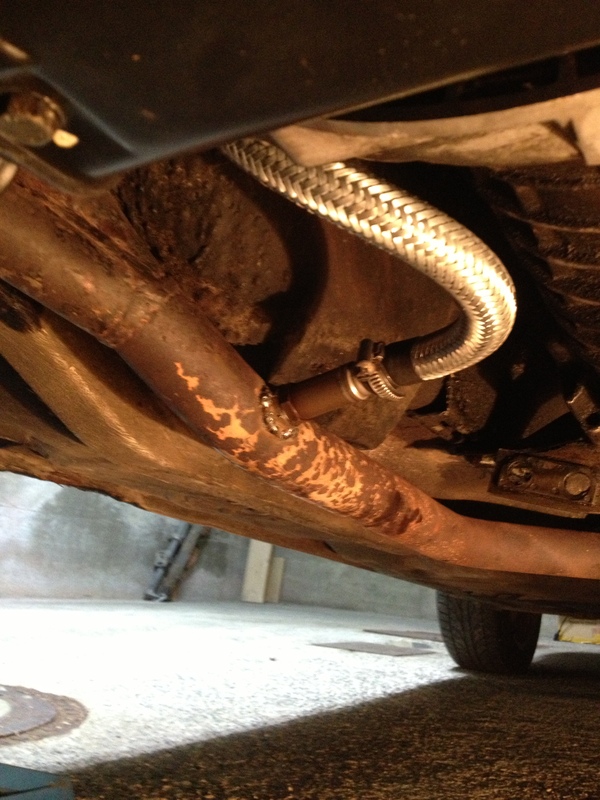 You also can contact Wondermike, as he has done this in his 323i.